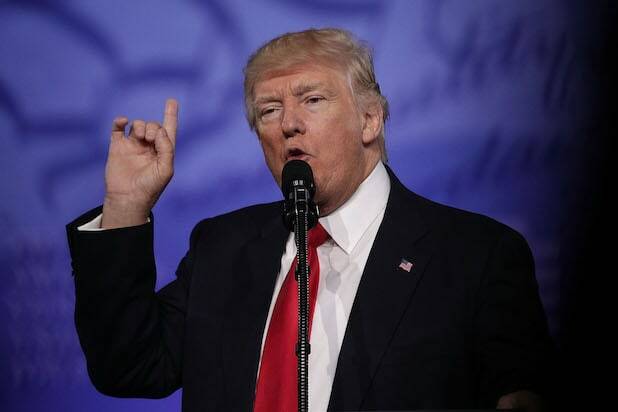 On Sunday, Trump complained on Twitter about how Fallon, speaking to The Hollywood Reporter, said he regretted tussling Trump’s hair on “The Tonight Show” two months before the 2016 presidential election. The host was heavily criticized for the cutesy moment by people who said it “normalized” the then-candidate. “When I saw that Trump insulted me on Twitter, I was gonna tweet back immediately, but I thought, ‘I have more important things to do.’ Then I thought, ‘Wait – shouldn’t he have more important things to do?’ ” Fallon said during his monologue. “He’s the president! What are you doing? Why are you tweeting at me? Fallon also reiterated that he donated to the organization RAICES (Refugee and Immigrant Center for Education and Legal Services) in Trump’s name in response to the tweet. 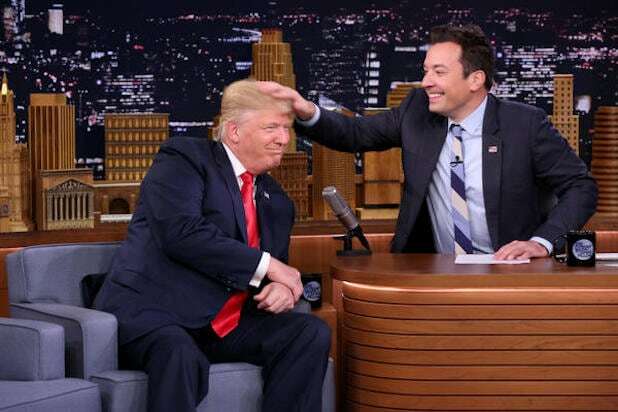 The “Tonight Show” episode was taped hours before a political rally in South Carolina that Trump attended Monday night, but Fallon’s monologue ended up accidentally well-timed. That’s because at the rally, broadcast on Fox News, Trump complained yet again about Fallon and fellow “no talent” TV hosts Jimmy Kimmel and Stephen Colbert — who he called “the guy on CBS” but refused to name.